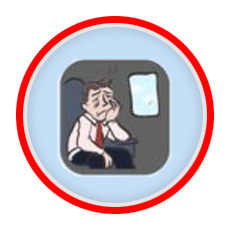 Air travel can be a bit of a pain sometimes. It can be especially difficult when you have inconsiderate or annoying people sitting close to you. Expedia understands that the struggle is real, so they teamed with GfK, an international market research institute to find out which behaviors are the most annoying. They conducted a survey of 1,019 randomly selected U.S. adults and released the findings in a report called The Airplane Etiquette Study. So without further adieu, here are the top ten most frustrating people you may or may not have experienced on airplanes. They stow their bag in the first open spot, rather than closer to their actual seat. The person who reclines their seat immediately and cramps your space. As soon as the plane lands they jump into the aisle and rush to exit, cutting in front of others. Too many bags and/or not realizing their bag is too large. Too much talking or trying too hard to start a conversation. Know your limit and don’t be the drunk dude on the plane. The volume for music or movies is so loud it can be heard by others. Excessive perfume, cologne or body odor? Yeah, none of those are cool. Parents with little to no control over their kids. Seats are not meant to be kicked. That will definitely make people angry. Other items that just missed the list include Pungent Foodies, Back Seat Grabbers, the Inappropriately Amorous (excessive public displays of affection), Undressers (shoes, socks, etc.) Mad Bladders, the Single and Ready to Mingles and Seat Switchers. Most passengers take the passive aggressive route when confronted with these issues. 49% of respondents tried to ignore the offender, while 21% prefer direct confrontation. Of course, not all travelers are frustrating or difficult. The survey found that 75% of respondents considered other travelers to be respectful on most occasions. Check out the infographic below for additional findings (click to enlarge). 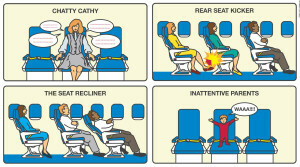 We should all try to show more consideration for other passengers and be aware of these things. 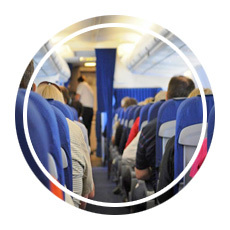 It never hurts to take a second to be aware of your own actions, especially when cramped into confined spaces like airplane cabins. What is your most annoying kind of traveler? 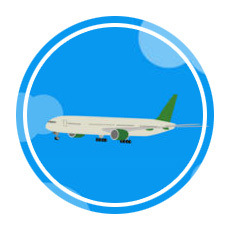 Looking for more tips to help prepare for a big flight? Here are a few more posts that might help your preparation!